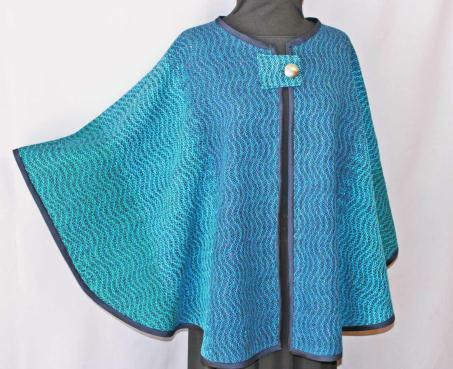 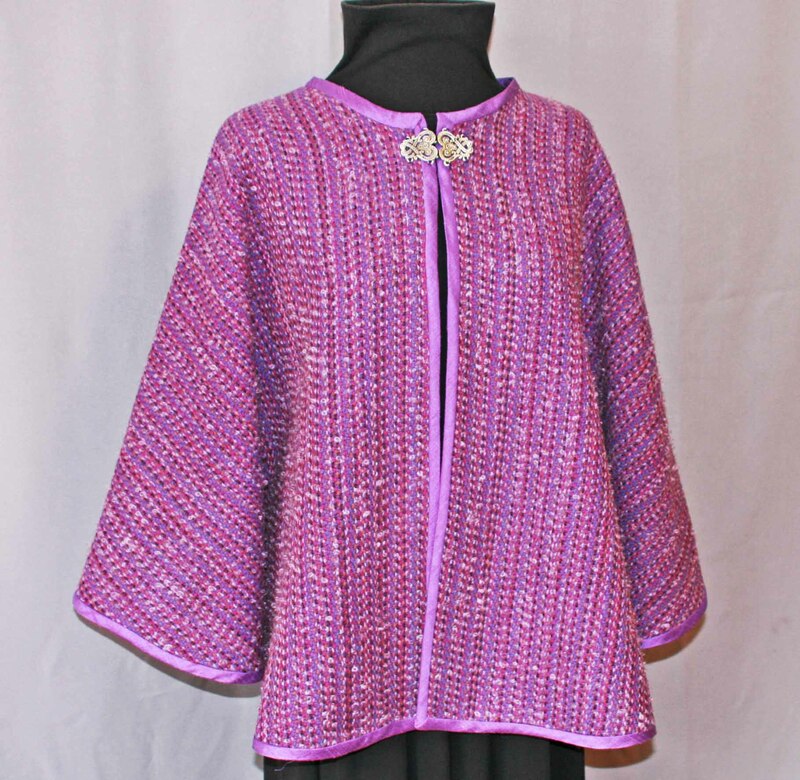 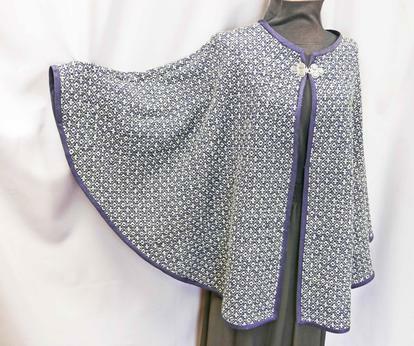 CAPES are hand woven in wool or wool and mohair. 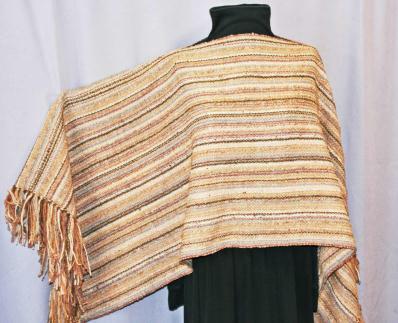 They measure about 22" at the shoulder, and are about 25" long. 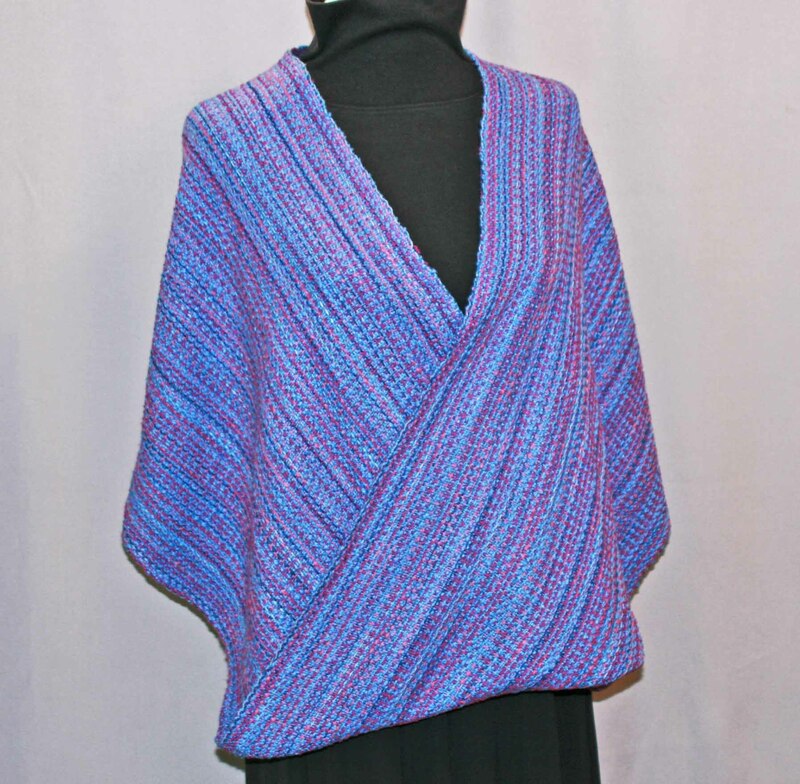 Most are bound in silk. 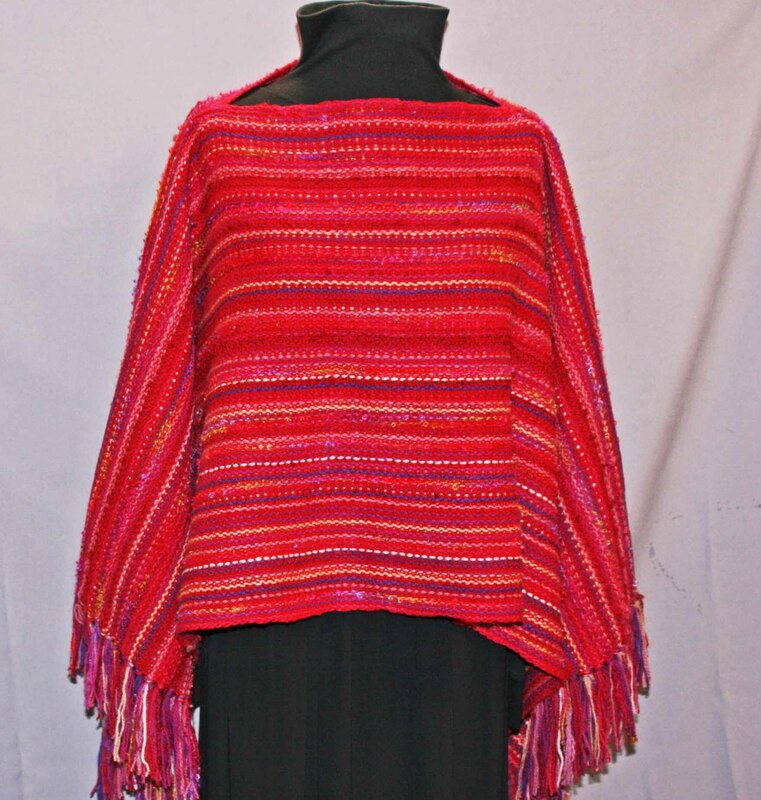 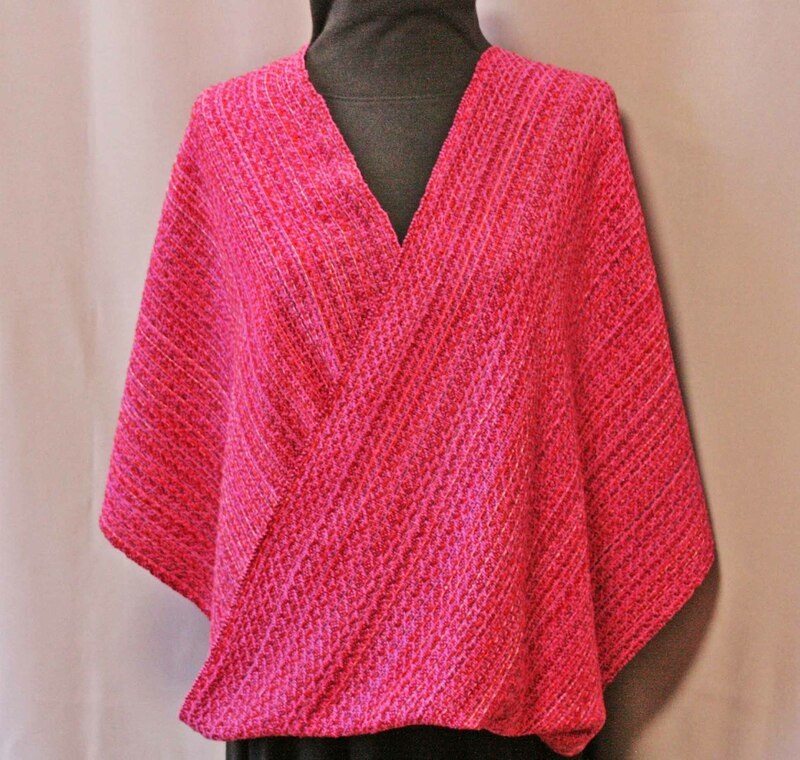 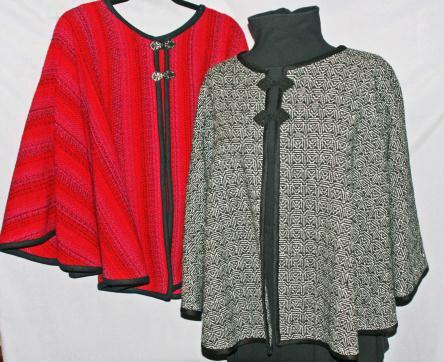 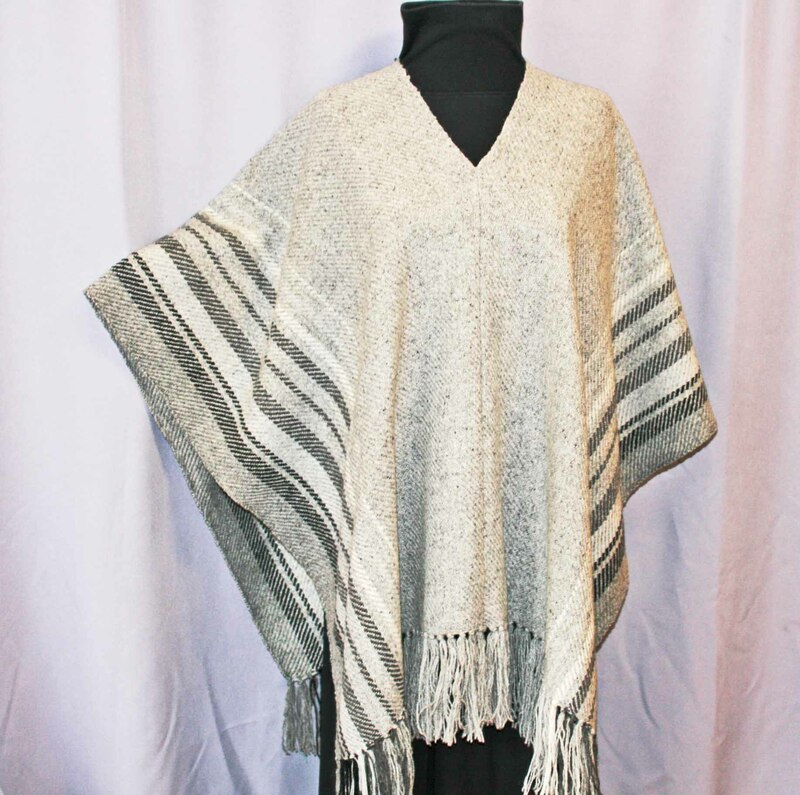 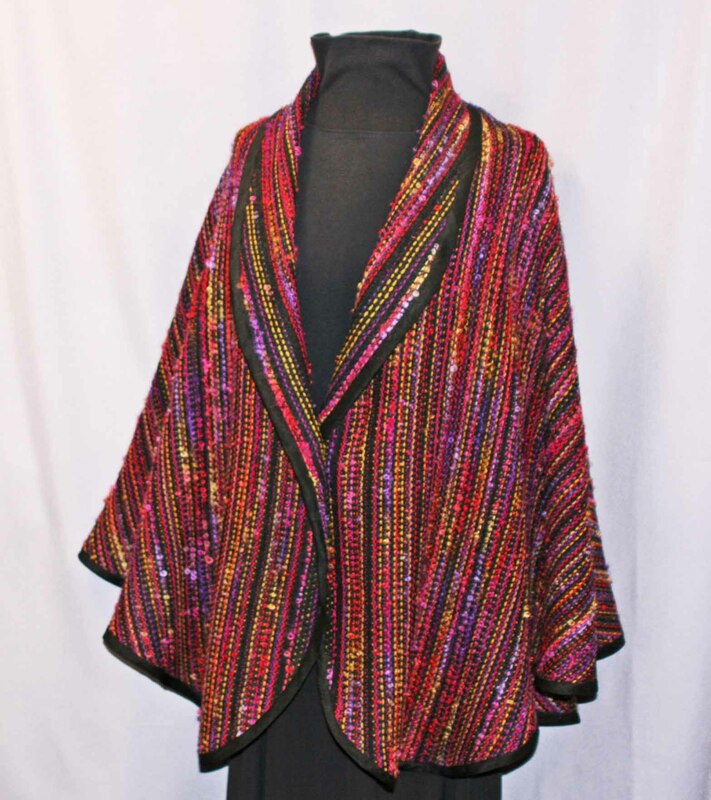 Shawls and ponchos are wool or mixed natural fibers. 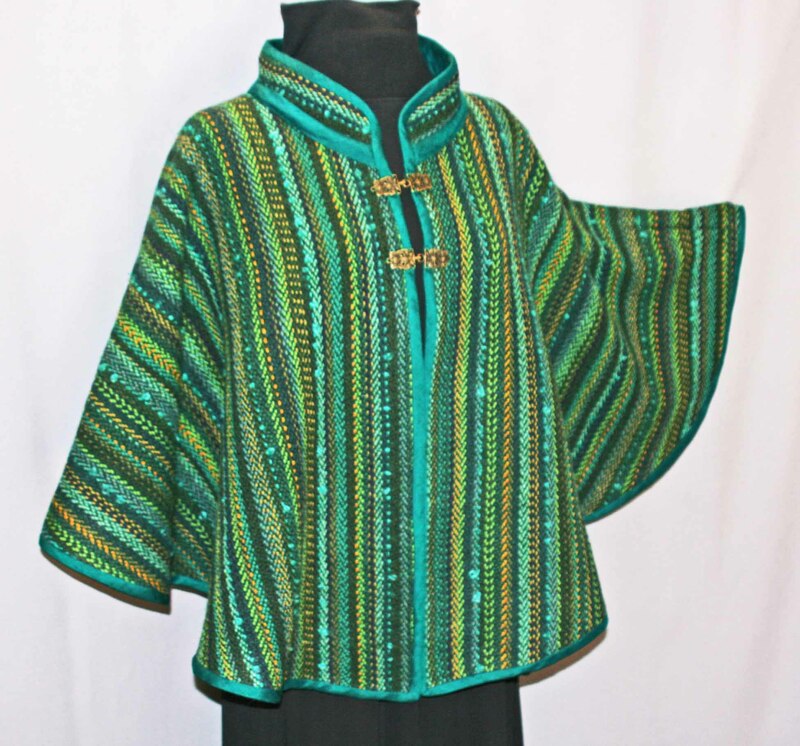 They may be purchased through my Etsy site or contact us.